What is the right cocktail to drink while listening to Gary Clark Jr.? What wine will bring out the best in braised rabbit? 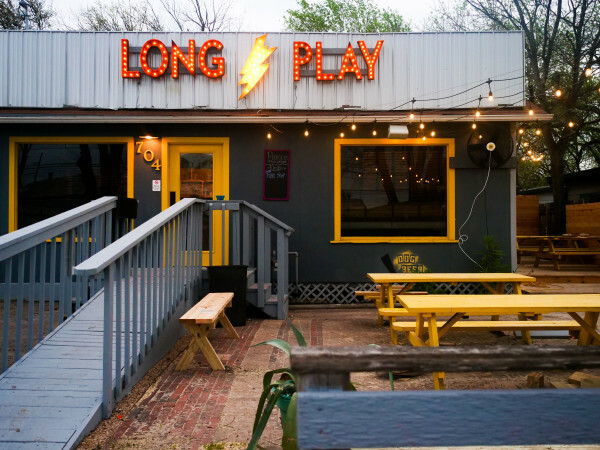 The 10 nominees for the CultureMap 2014 Tastemaker Awards in the Best Beverage/Wine Program category keep Austin at the forefront of trends in craft cocktails and fine wine. Craig Collins became enamored with wine while working at a Texas winery during college. He is currently the beverage director for ELM Restaurant Group where he oversees the programs at 24 Diner, Easy Tiger Bake Shop & Beer Garden and Arro. In 2011, he passed the esteemed Master Sommelier Exam, joining an elite club of less than 200 people worldwide at the time. He is an active member in the Court of Master Sommeliers and frequently serves as a featured speaker at wine and food festivals across the country. What was your first memorable wine? I experienced my “aha” wine while living in Italy with Chef Andrew Curren. It was a bottle of 1998 Brancaia Il Blu, a super Tuscan blend of Sangiovese and Merlot that opened my eyes to the rest of my life. What is your favorite “guilty pleasure” beverage? My guilty pleasure is an ice cold can of beer when I get home at the end of the night. Austin Beerworks Pearl Snap always does the trick. Your favorite food and wine pairing? Goat cheese and Sauvignon Blanc. The acid of the goat cheese balances out the saltiness of the cheese and cuts through the fat. It is one of the classic pairings that works every time. What should Austinites drink right now? It sounds a bit cliché at this point, but rosé. We are moving into the hot time of the year and there is nothing better than an ice cold glass of pink wine. Sam Hovland has worked at The Austin Wine Merchant, Headliners Club, Sardine Rouge, Demi-Epicurious, Mars Restaurant and Bar and Twin Liquors. Hovland became the wine buyer for East End Wines in 2010 and continues in that role today. He worked with Mat Clouser, the chef at Swift’s Attic, to develop and maintain the Swift’s Attic wine list. As an extension of that partnership, he is looking forward to buying wines for Clouser’s new restaurant, Wu Chow. What was your first memorable wine? My first experience was with wines pilfered from my father when he was hosting art openings at the Austin Conceptual Visual Artists Association. I then made wine in the early 1980s, and distilled it (thanks, Science Academy). I was really blown away by a 1967 Richebourg, older vintage Dönnhoff Oberhäuser Brücke Riesling Spätlese, Henri Jayer Pinot Noirs and Domaine Huet Vouvray sweet Chenin Blanc early on in my sommelier career. What is your favorite “guilty pleasure” beverage? I like very cold tallboys of cider after a day of drinking wines for work, vermouth and Cava and 10,000 beers. I once ran out of wine, and had Sauternes poached foie gras on Ritz crackers with ice cold Budweiser standing in a friend’s kitchen in the middle of the night. Your favorite food and wine pairing? My four favorites are Sonoma Coast or Oregon Pinot Noir with duck (Doritos crusted for extra naughtiness); Alsatian Riesling with escargot soup; Muscadet and oysters; and the classic vintage Port and Stilton. What should Austinites drink right now? Bubbles, Mondeuse, Sherry, pink wine, orange wine, natural wines and food-friendly wines that are funky with higher acid, lower tannin and lower alcohol. Josh Loving has worked in both the front of the house and back of the house at such notable Austin restaurants as Fino, which he helped open in 2005, Vino Vino, Asti and East Side Show Room. 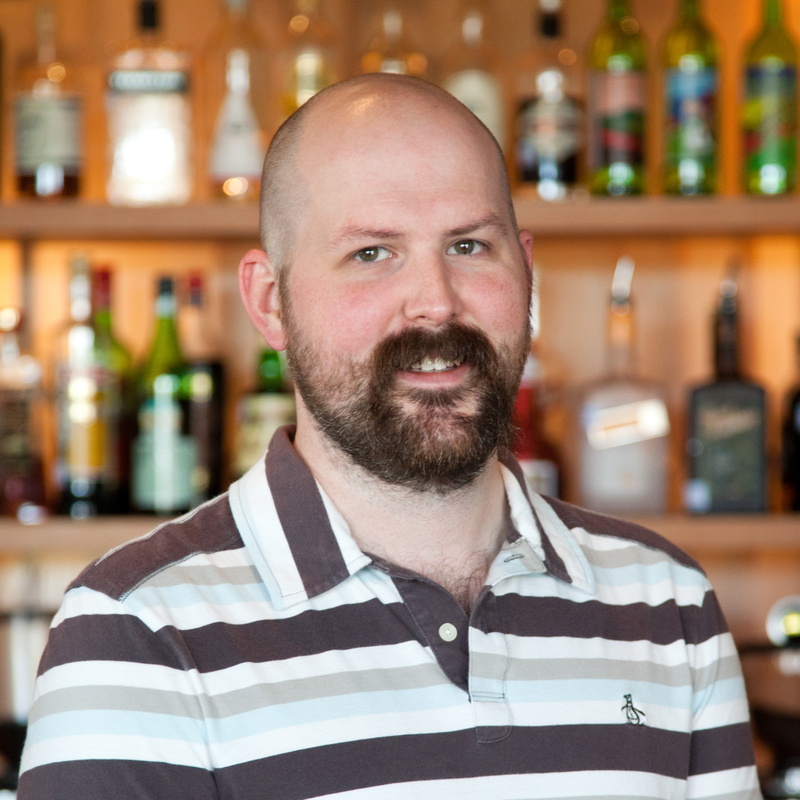 Most recently, Loving was part of the opening team at Josephine House & Jeffrey’s, where he served as beverage director. He left Jeffrey's this year to focus on his own project, and is currently tending bar at Half Step. What was your first memorable wine? I think it was 2003, I was working a private party for wine collectors and they gave us the rest of their wines including a vertical from the 1970s of Premier Cru and Grand Cru Burgundy from Domaine Mongeard-Mugneret. I didn’t know what they were, but I remember telling myself to remember the labels so someday I could recall what they were. What is your favorite “guilty pleasure” beverage? Cheap beer: Coors, Miller High Life, Tecate, etc. I try to stay away from cheap wine, but I crush cheap beer. Your favorite food and wine pairing? It’s a tie between Champagne and raw oysters, and fried chicken and Riesling. What should Austinites drink right now? Sherry. I feel like I say this every year, and every year it gets a bit more traction. But yeah, Sherry. 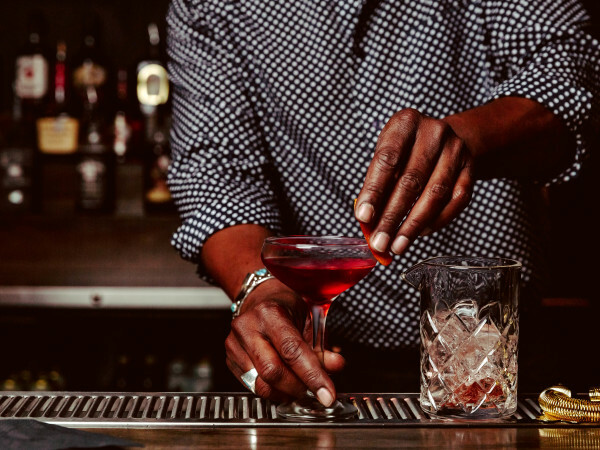 For 20 years, Norris has poured drinks in venues across the country, winning numerous awards and cocktail competitions along the way. He was on the opening staff at Fino, where, according to the Austin American-Statesman, he “planted the sacred seeds” of the modern cocktail in Austin, before creating the nationally recognized bar program at Haddingtons. Norris is currently the beverage director for Alamo Drafthouse, overseeing the cocktail and beverage programs at Midnight Cowboy, 400 Rabbits and other Alamo properties. What is your favorite “guilty pleasure” beverage? Vinho Verde from the lobster bottle (Santola). There is nothing better for an Austin summer Sunday afternoon. Your favorite food and wine pairing? Vintage Champagne and potato chips. And I’m not joking. What should Austinites drink right now? It’s springtime in Austin, so I recommend rosé, preferably Provençal or Spanish. Or Champagne. Champagne is always good. Ozbirn got his start in Austin’s restaurant industry in 2006 as a server at Vin Bistro, which sparked his passion for wine. He held various positions at Botticelli’s, Wink Restaurant and Paggi House while studying to attain Certified Sommelier status through The Court of Master Sommeliers. Ozbirn became the Beverage Director for Parkside Projects to hone the predominately Italian wine list at Olive & June. 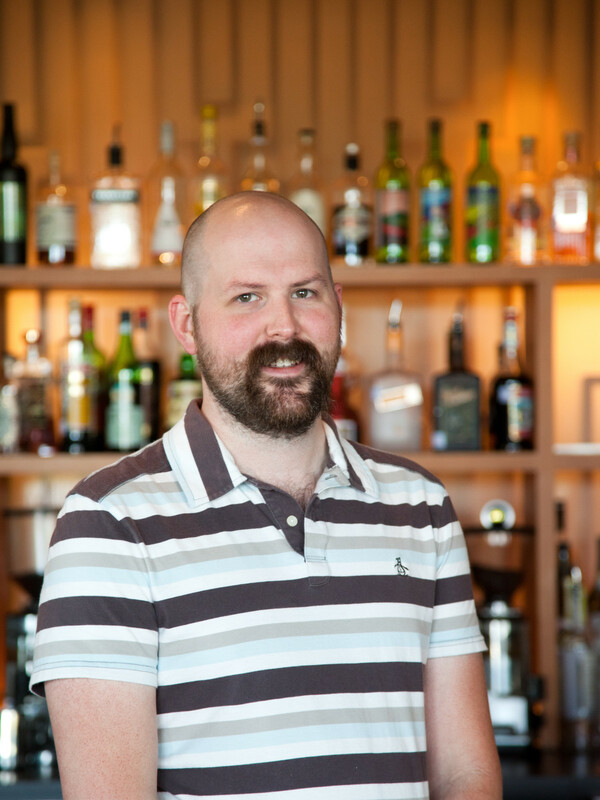 He is expanding his role to manage the beverage and wine programs at The Backspace, Parkside and Chavez. What was your first memorable wine? My first memorable wine was Seghesio Sonoma Zinfandel 2002. My dad couldn’t find it in Birmingham and asked me to buy it at my local wine shop in Huntsville. It was the start of a long relationship with said wine shop and my love for the balanced, lush and fruit-forward wine. I still love the wines today despite the fact that I've really moved away from buying and drinking that style. What is your favorite “guilty pleasure” beverage? After a long day of tasting and discussing nothing but wine, the last thing I crave is wine. If I’m at a bar, I'll drink Hops & Grain ALTeration, but I'm always up for a Lone Star with a lime. Another guilty pleasure is chilled Deep Eddy Ruby Red Vodka! Your favorite food and wine pairing? A big glass of Lambrusco with the new late-night burger at Vino Vino is a pretty stellar meal. I’m always up for Riesling with just about anything. What should Austinites drink right now? We’re really diving into the orange wine thing at Olive & June. We serve an abundance of small bites like quail, pork and meatballs that pair really well with either full-bodied whites or lighter style reds. Orange wine is perfect for those plates and introduces tannin to white wine drinkers in a much more approachable way. My favorite at the moment is Ezio Trinchero Bianco 2007. Brian Phillips, Manager and Sommelier, Eddie V’s Restaurants Inc.
Over the past 14 years, Phillips has worked in venerable Austin establishments such as The Driskill Hotel and Haddingtons and currently manages the beverage program at Eddie V’s Prime Seafood. He not only serves wine, he also makes wine called "Ground Up" from Texas Tempranillo and Touriga Nacional grapes tended and harvested by the team at Pedernales Cellars. What was your first memorable wine? My first memorable wine was a sip of my mom’s Beringer White Zinfandel when I was around 10 years old. It was memorable because it was so bad. I can’t quite recall one wine that sent me down the rabbit hole. It was a natural progression with an endless quest to find wines that make me stop and look both inward and outward at the same time. What is your favorite “guilty pleasure” beverage? Like all somms, at the end of a long day serving our guests we want something clean and simple like beer, or a cold, classic martini. My guilty pleasure is a shot of really cold silver tequila (no salt, no lime, no mixology). Your favorite food and wine pairing? My go-to wine and food combo is spicy and sweet Asian with the classic off-dry wines of the world. I am super happy with Thai food and an assortment of Loire Chenin Blanc, German Riesling and fungus infected Alsatian beauties. What should Austinites drink right now? Everyone should be drinking wine, period. There has never been a better time in the history of wine to drink it in terms of quality and world representation. When treated right, wine is restorative, contemplative and, in turn, good for society. Every region and corner of the globe produces something special and we owe it to those producers to try it and give it its moment of silence. What was your first memorable wine? A bottle of 1983 Château Lynch-Bages sparked my interest for wine, while a 1978 Bodegas Muga Prado Enea inspired the drive to become a sommelier. What is your favorite “guilty pleasure” beverage? A third gin martini. Your favorite food and wine pairing? French rosé and escargot. What should Austinites drink right now? Sidecars, Aviations, Micèl Prosecco, Domaine Houchart rosé or a Gibson with three onions. Paula Rester worked at Congress from its opening in December 2010 until January 2012 when she left to become the general manager of Vino Vino. In October 2012 she rejoined the Congress team as the Sommelier. 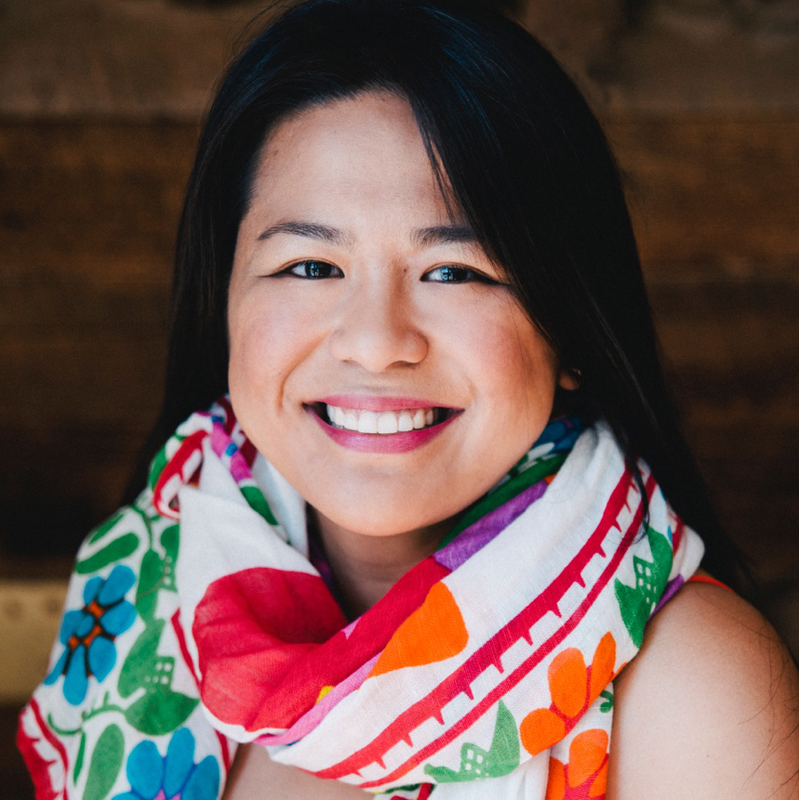 Rester draws on her education as an actor at the University of Texas and her experience as a nightclub jazz singer to bring a spirit of performance and presentation to wine and food. She is a Certified Sommelier with the Court of Master Sommeliers and a Certified Specialist of Wine with the Society of Wine Educators. What was your first memorable wine? Travaglini Gattinara, for the shape of the bottle and the aromatic nature of the Nebbiolo. What is your favorite “guilty pleasure” beverage? Rye whiskey manhattans. Your favorite food and wine pairing? Champagne and French fries. What should Austinites drink right now? Rosè! Because (in my best Game of Thrones voice...) summer is coming. My favorites include Inman Family Endless Crush Olivet Grange Pinot Noir Rosè 2013 and Clos Cibonne Cotes du Provence Tibouren Rosè 2012. 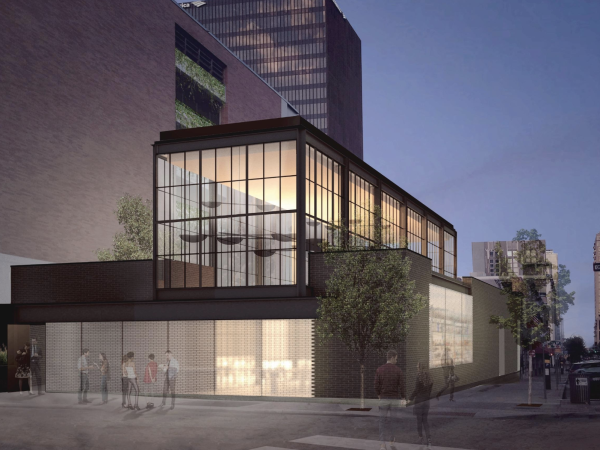 Rodil leads operations of Paul Qui’s flagship restaurant, Qui, and the multi-location casual concept, East Side King. 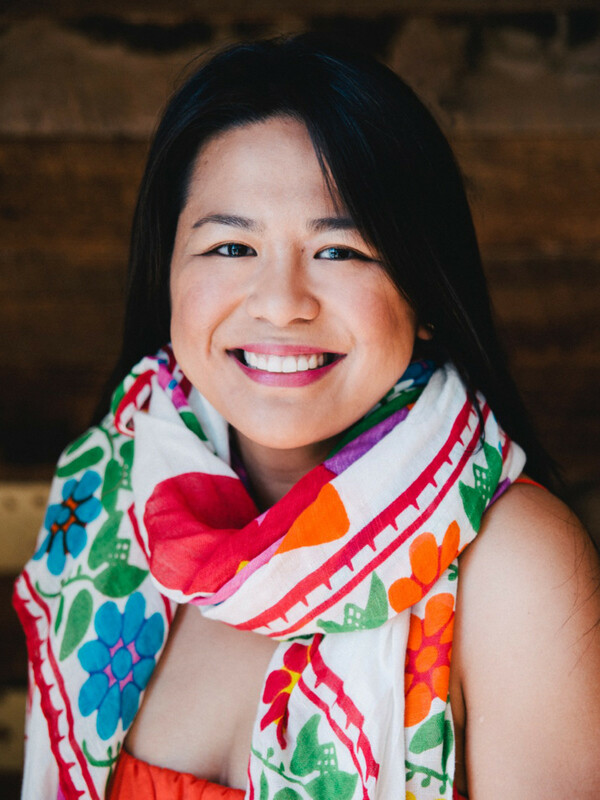 She has an extensive wine background and has served as the beverage director for the Uchi Restaurant Group and Congress Austin. Rodil relishes the perfect pairing and believes that this can be accomplished when a chef and sommelier have mutual respect for each other and have the same goal: happy guests. What was your first memorable wine? I first started really getting into wine and food when I was a server at the Driskill. I went in to dine there for a birthday celebration to see what the tasting menu was all about. I scoffed at the buttery Chardonnay that was on the tasting menu, but the simple butter poached halibut with tomatoes was transformed into something else altogether by the wine ... It always reminds me not to turn my nose at a wine. There are definitely moments for each wine, and if not moments, then at least dishes that go well with it. What is your favorite “guilty pleasure” beverage? A Lone Star tallboy and a shot of bourbon after a long shift. It gets me every time. Describe your favorite food and wine pairing? Champagne, Champagne, Champagne, and anything! Champagne and French fries are a must. For complete dishes and something that I like to do at Qui, I suggest a red Burgundy with saba. It’s really a stunning pairing and one that I love introducing to people. What should Austinites drink right now? This is the season for rosé! Rosé in any style to satiate any palate. The range of grape flavors, texture and fruit concentration is huge. It's available in everything from bubbles, to a salty, barely pink Côtes de Provence. Smith joined Uchi in 2009, where his extensive travels in Asia fueled a fascination with the history and culture of the wine and sake on the menu. Rodil, who was beverage director at the time, encouraged Smith to become a certified sake professional. That education was the beginning of his passion for food and beverage pairings and how the right match can elevate the experience. What was your first memorable wine? It was a Châteauneuf-du-Pape about six years ago with a former roommate who was a wine rep. I was struck by all that it had going on. There was great depth of fruit, leather, tar, savory, and it had this really meaty texture. They are still some of my favorite wines. What is your favorite “guilty pleasure” beverage? Jameson. Your favorite food and wine pairing? I really love pairing sweeter wines with meat. Instead of red wine, choose Riesling Spätlese or Chenin Blanc that has some richness that goes great with beef, lamb and pork. The acid cuts right through the fat and the ripe fruit balances the savoriness. A pairing that I love to do at Uchi is a Norwegian mackerel with truffle oil and yellow tomato on top with Royal Tokaji dessert wine. The mackerel is quite gamey and savory along with the truffle and the fruit and acidity of the wine is a perfect match. What should Austinites drink right now? Craft beer is blowing up right now and I think that brewers are really pushing the boundaries seeking out new and different nuances. Whether it’s barrel-aging or the use of some indigenous yeast, beer is becoming so varied — and almost wine-like in some instances. For wine, I choose Riesling because it is so versatile and it’s possible to find one that will pair with almost anything. They will age for decades and continue to gain complexity. Tickets for the third annual CultureMap Tastemaker Awards, which take place May 7 at Brazos Hall, are available here.